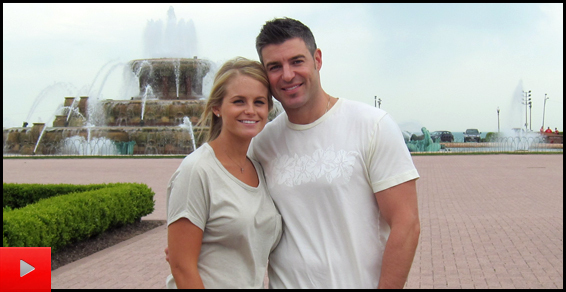 Jeff & Jordan say their goodbyes to family and friends and get ready to embark on a cross-country adventure driving from Chicago to their new home in Los Angeles. 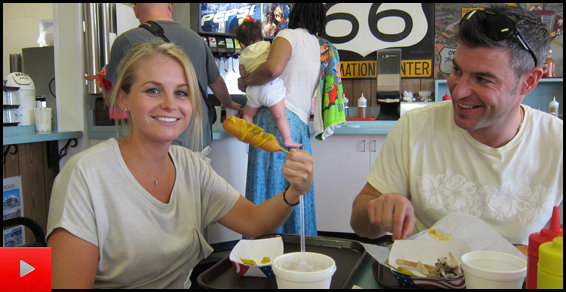 Jeff & Jordan start their trip on Route 66 at Buckingham Fountain and stop off for corn dogs and rabbits in Staunton, IL along the way. 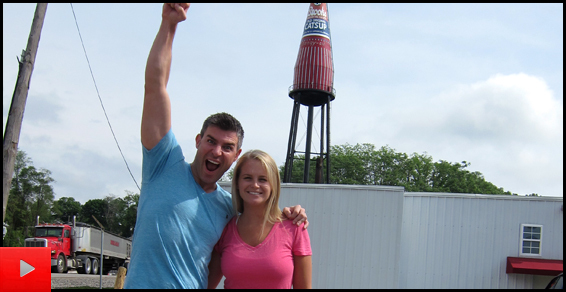 Jeff & Jordan take a quick detour to visit Jordan's grandparents in Collins, IL and get back on track at the St. Louis Gateway Arch. 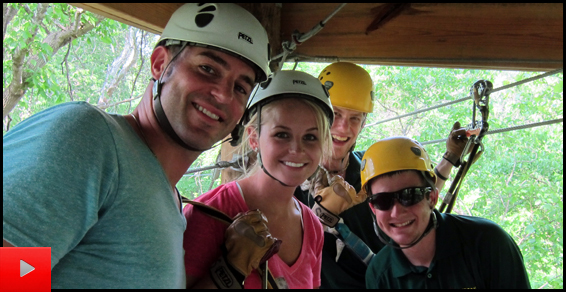 Jeff & Jordan go ziplining in Springfield, MO with a stop off at the frog rock. Jeff & Jordan take a ride of a lifetime in Oklahoma City, OK where they experience bull riding for the first time. 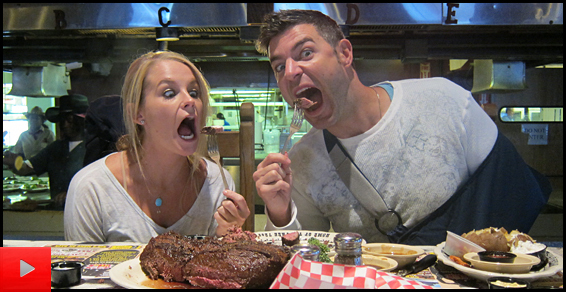 Jeff & Jordan take a stab at the rattle snake roundup before they move on to Amarillo, TX to tackle a 72 oz. steak challenge. Jeff & Jordan take on a 72 oz. steak challenge in Amarillo, TX before they move on to Cadillac Ranch. Jeff deals with some bull riding consequences. 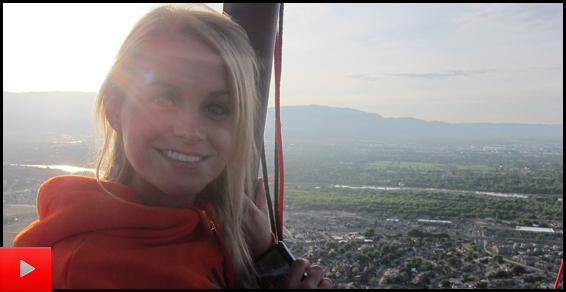 Jordan goes on a hot air balloon ride in Albuquerque, NM and meets up with Jeff in Flagstaff, AZ. Jeff & Jordan experience a breathtaking helicopter ride through the Grand Canyon. Jeff & Jordan arrive in California, stopping off for some fried chicken in San Bernardino, and eventually making their way to their final destination, Santa Monica, CA! © 2019 CBS Interactive. All rights reserved.